In 1999 group of buddhist friends bought former farming house located in Vyhlidky village 8km from Budweis, CZ. Since that time the building has been largely reconstructed. Many people took part in the project and contributed by their work, money or time spent in the centre. Thanks to this effort meditation retreat center has been created. The place is currently being used for a wide range of activities. 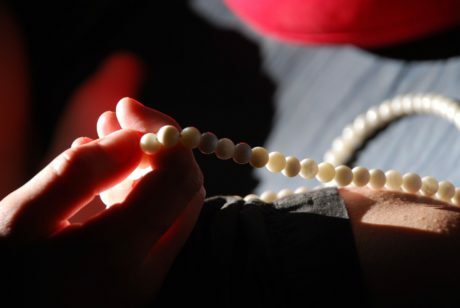 Meditation courses, study programs, statue filling courses or intensive meditation retreats take regularly place there. 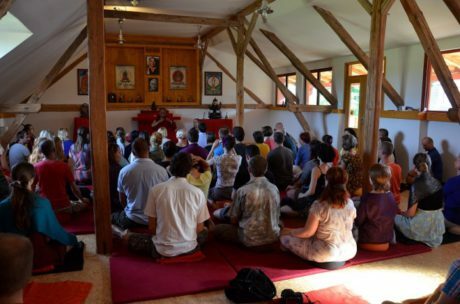 Vyhlidky retreat centere was several times visited by lama Ole Nydahl and in 2014 also by lama Sherab Gyaltsen rinpoche, an acknowledged buddhist teacher from Nepal. Photos of Vyhlidky retreat center. To start a meditation, we first calm and focus the mind. To do this we usually concentrate on the breath or on an object. We then use this focussed attention to develop insight. 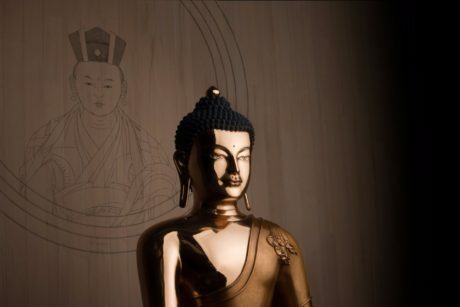 The ultimate aim of Buddhist meditation is insight into the nature of mind – enlightenment. The Karma Kagyu lineage has been passed on for a thousand years from realised teacher to able student. 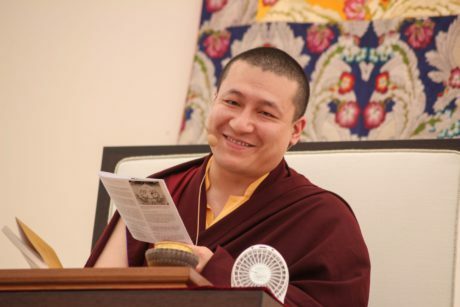 Having an authentic Buddhist teacher is essential to one’s development in the Vajrayana.